Trinity Beach has grown up a lot since I was there last time – over 25 years ago as a backpacker. I stayed at the Coral Sands Resort on this occasion in a two-bedroom apartment and found it to be spacious, functional and well maintained. When I retire this is the kind of abode I’d like to have. The combined lounge and kitchenette was spotlessly clean with crockery/utensils within large cupboards. The abundance of bench area makes for easy living and dining over a few days stay. I would only say the bathroom being in the interior of the apartment was perhaps a little dark and having to turn the light on each time was about the only negative thing I could find. More on the apartment, it has a laundry, a walk-in robe for hanging clothes and storing your cases giving it an uncluttered feel. Great outlook from the balcony to the sea and the back gate is literally on the beach. 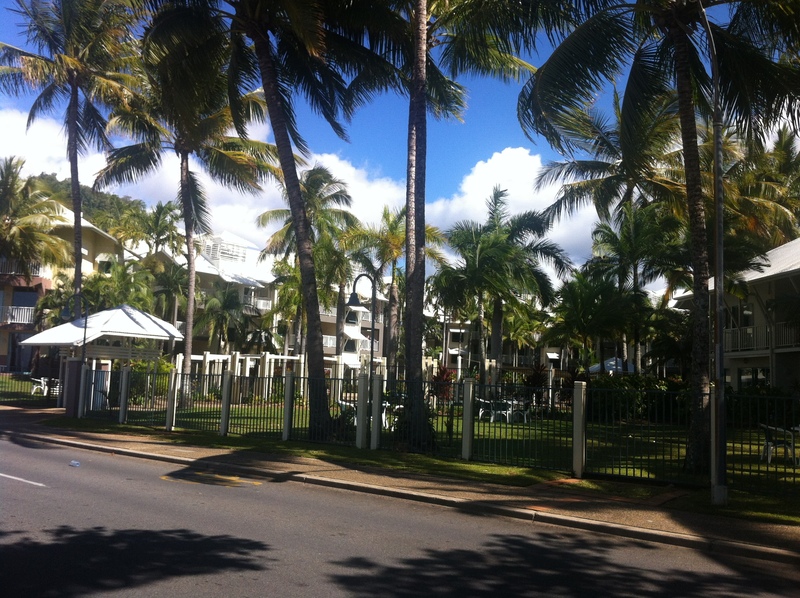 A delightful shaded pathway along the beach made meandering along very relaxing as this is what QLD is about … enjoying life. I didn’t swim in the pool as it was a touch bit on the cool side in July, but I did enjoy the view of the leafy well-kept gardens. Staff here were great and very friendly especially assisting and coming down to help with the parking, which is underneath the units whereby you can walk up the stairs with your luggage easily – especially if there’s a family staying with heaps to carry. Thumbs up to Coral Sands Resort!